Hair Breaking is referred to as the cutting away of the hair. Hair breaking cause baldness in women if not treated with urgency and can also prevent the hair from looking good. 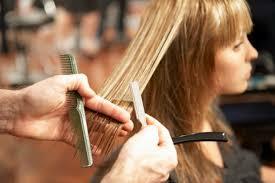 It means as soon as you brush your hair, it cuts and the comb or hair brush get filled with the cut hair. Perming, braids could cause breaking of hair as well as age, genetic factor and the kind of hair style ladies or women decides to do are things that can cause hair breaking but can definitely be cured or treated naturally without drugs or operation. 1. Honey and Olive Oil: Mix honey with olive oil of the same quantity, warm the mixture and rub the mixture with your hair and wait for few minutes like 20mins and after that you wash the hair. Do this twice a month and you will see an improvement in your hair growth and breakage. 2. Mild Relaxer: To prevent hair breakage or hair breaking, you need to avoid using hyper active relaxer and such that when you use them, it breaks the hair. The solution to these is to use mild relaxer which seems gentle with your hair. These are the two natural remedy for hair breaking. Use these method and you wont see your hair break again. Thanks for reading.